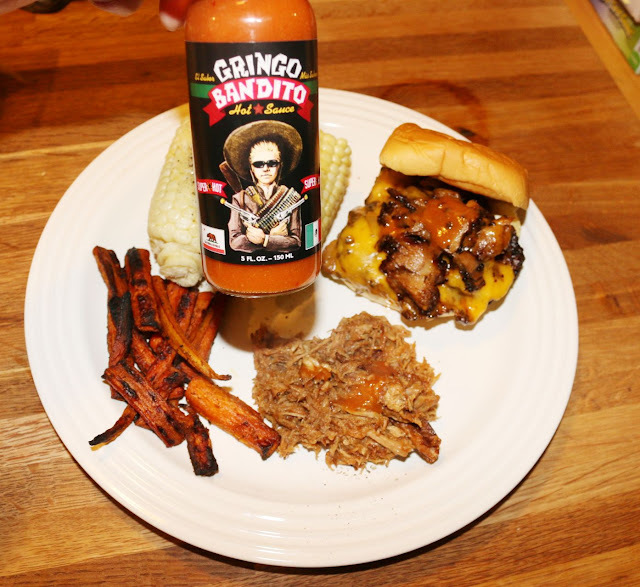 I was recently shipped Gringo Bandito's line of hot sauces to check out. 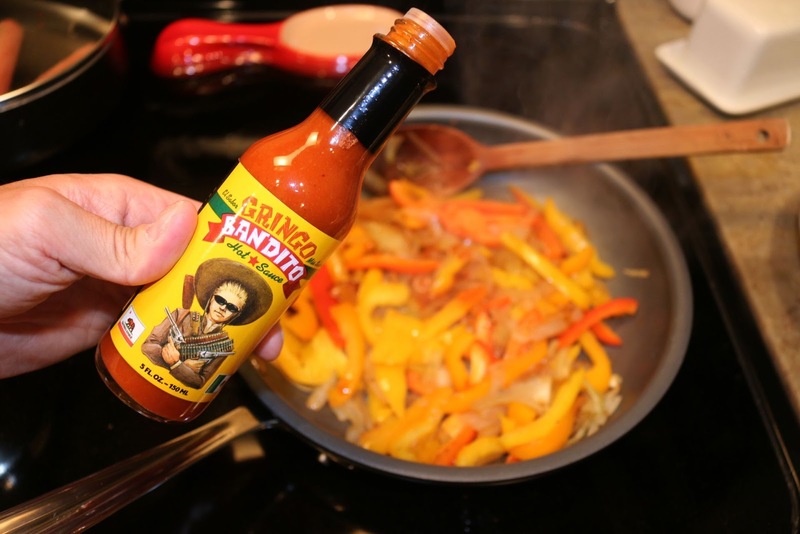 Another hot sauce you say? Well this one's got the sales and the face to back it up! It all started over 10 years ago by Dexter Holland (yes, Dexter of the multi-platinum punk rock band, The Offspring). Initially given away by Holland as a Christmas gift, it has since taken off from Southern Cali to sell over a million bottles nationwide and around the world. The original red is the milder version, but with a nice bold flavor that was perfect to amp the flavor of peppers and onions for fajitas. The green uses unripened habaneros instead of tomatillos. So be prepared for a spicier version than your typical verde. 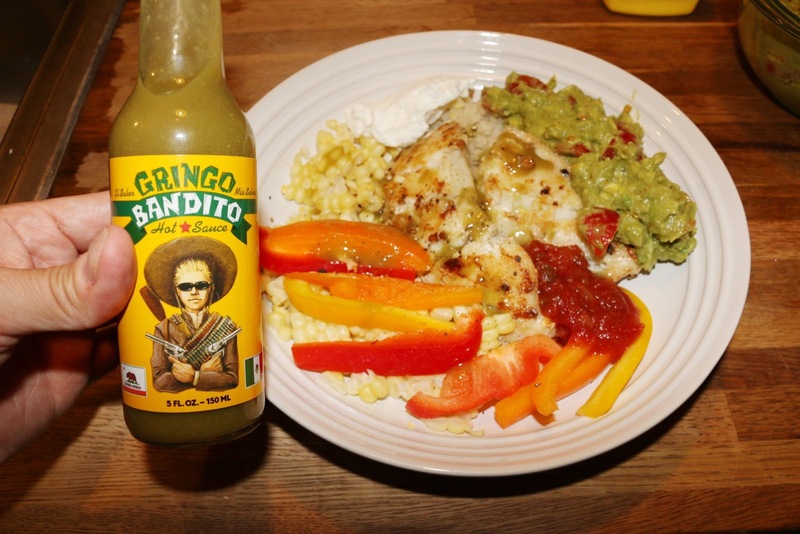 Delicious to spice up some lighter dishes like my fish and cauliflower rice burrito bowl. If you're looking to go super spicy, check out their Super Hot version, which utilizes ghost and scorpion peppers to create a natural (no additives! ), but scorching blend. It worked to create an addictive hit of heat with some leftover Percy Street BBQ brisket and pulled pork. You can buy it online on their website or at your local store so be sure to check it out! FTC Disclaimer: I was provided this product to review. Regardless, my opinions are mine alone and, therefore, unbiased.